There has been a lot of talk lately about a new sound format coming out for home theatre systems, Dolby Atmos. Dolby Atmos has been in commercial movie theatres for last few years and finally it will be released to a select amount of 2015 home theatre receivers. 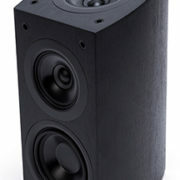 So to best describe what it is, Dolby Atmos basically adds a 3D aspect to the sound system with ceiling speaker added in specific locations to your current speaker configuration, the extra speakers is sound that is comes down from the ceiling that work in conjunction with your existing speaker 5.1 or 7.1 speaker configuration. 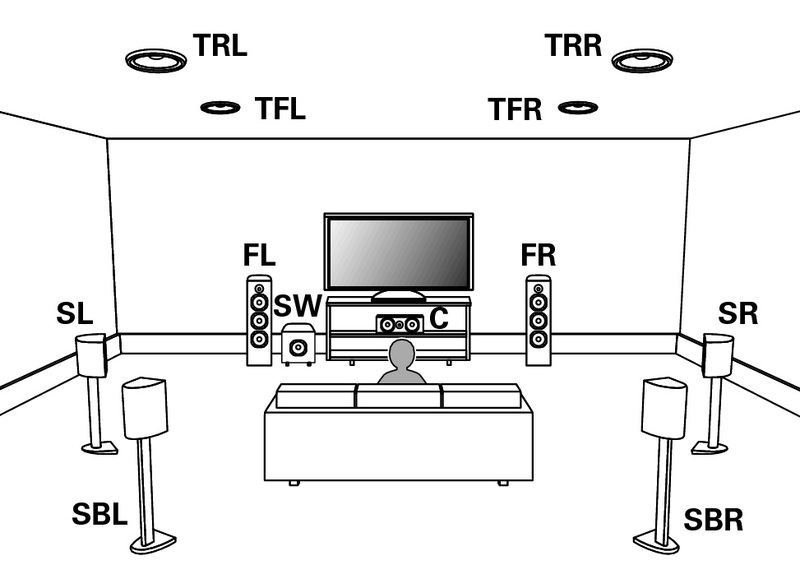 The new Dolby Atmos speaker configuration can be configured in one of two different ways. The first way and the easiest way is to purchase special Dolby Atmos enabled speakers. These speakers will look the same as normal speakers except there is an extra speaker on the top looking up to the ceiling on an angle, also on the back of the speaker there is a second set of speaker terminals especially for the up would looking speaker. The idea of this speaker is that it works off reflected surfaces, so the sound will be bounced off the ceiling, but this is said to be about 70% effective at its best and this will depend a lot to the ceiling construction as well. 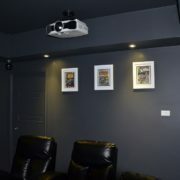 A true representation would be to physically install the ceiling speakers, this will give you a true Dolby Atmos system. Currently Dolby Atmos home theatre specifications say it can handle up to 24 speakers at ear level and 10 on the ceiling (represented as 24.1.10) but this requires a lot of amplifiers to drive all the speaker and currently there are no domestic grade receivers that is capable of driving that many speakers yet, and of course this isn’t realistic in normal home theatre system either, so adding 2, 4 or 6 ceiling speakers would be more likely, so in a normal 5.1 home theatre system, if 4 ceiling speakers are added, this would be 5.1.4 now. To give you an idea, a commercial cinema will have up to 64 independent speakers. Have a look at part 2 of Dolby Atmos, what is it?